We know that the criminal justice system is overwhelming. When you have been placed under arrest or are made aware that you may be part of a criminal investigation, it is difficult to know where to turn. The following are some of the common criminal defense questions we are asked. It is important to note that everyone's situation is different and nothing can replace the one-on-one advice that you receive from a lawyer. To schedule a consultation at the Dallas law offices of D. Mark Elliston, Attorney at Law, call (214) 752-0400. I am under investigation, but not under arrest. Am I required to speak with the police or investigators? No. You are under no obligation to provide any information to investigators. People often make the mistake of offering up information under the guise of being helpful or in an effort to put the matter behind them as quickly as possible, only to have this information used against them during criminal proceedings. That is why it is important to seek legal counsel as soon as possible, even if you are not placed under arrest or are not even the primary focus of a criminal investigation. I have been arrested. Do I have to speak with the police? No. You should have been informed that you have the right to remain silent. Exercise that right. Again, it can be tempting to want to appear helpful or to say anything in an effort to get out of police custody as soon as possible. However, when they say that anything can and will be used against you, they mean it. Your best course of action is to request an attorney and repeat your request in polite, but no uncertain terms if the police attempt to continue questioning. The police think I have committed a crime. I am innocent. Should I tell the police my side of the story in order to clear my name? Proceed with caution. If the police want to know where you were on a specific date during a specific period of time, and you were at a large social gathering where your presence was noted by a number of witnesses, it may be harmless to provide this type of information. Anything beyond this may lead to a world of trouble. Our criminal justice system is imperfect and, unfortunately, wrongful convictions do happen. Even if you are innocent, it is best to rely on the advice of an attorney in order to ensure that there are no misinterpretations and to ensure that your rights remain protected. The prosecution has offered me a plea bargain. Should I take it? It depends. All plea bargains are different and everyone's case is unique. You should not agree to anything without first having your legal representative review the offer and then discuss the pros and cons of each option on the table. Yes. The legal system is complex and confusing. A seemingly innocent statement can come back to haunt you in ways you may not imagine. Having a legal professional on your side is essential to mitigating the potential consequences of a criminal charge or investigation. 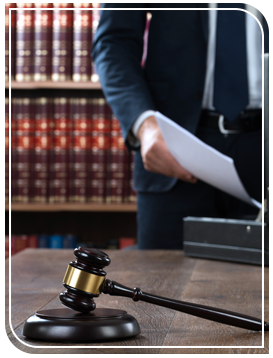 We are here to help you with every aspect of your legal case. Call (214) 752-0400 or contact us online to schedule an initial consultation with our attorney. We represent clients throughout the Dallas Metroplex and across Texas.